Leading schools is becoming almost daily a more complex and demanding job. Connecting Leadership and Learning reassesses the purpose of schools, the nature of learning and the qualities of leadership that make schools authentic places of learning. These key principles have been tested by teachers, senior leaders and school students and found to be applicable across cultural and linguistic boundaries. The challenges faced by in inner city schools, whether in London or New Jersey, prove a stern test for the five principles yet, as these schools testify, they bring a new sense of hope and resolve that learning is for everyone. 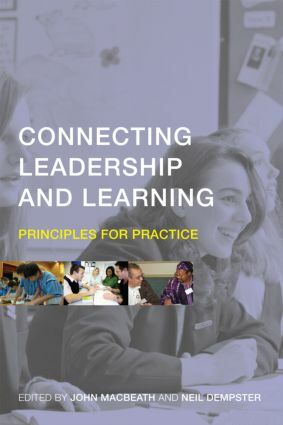 Based on rigorous research yet thoroughly grounded in practice, this book aims to challenge the reader with big ideas about learning and leadership, and to break new ground in thinking about where leadership and learning meet so that practitioners can see how it works in school and classroom practice. It should be of interest to all school leaders and those aspiring to the role. What do we know about leadership?